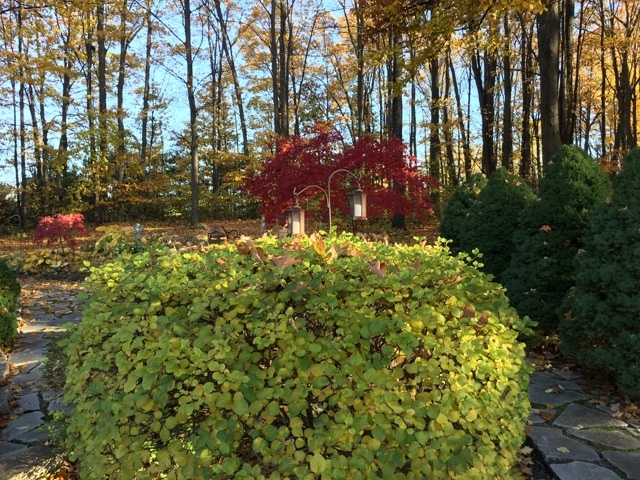 Everything is dressed In leaves! 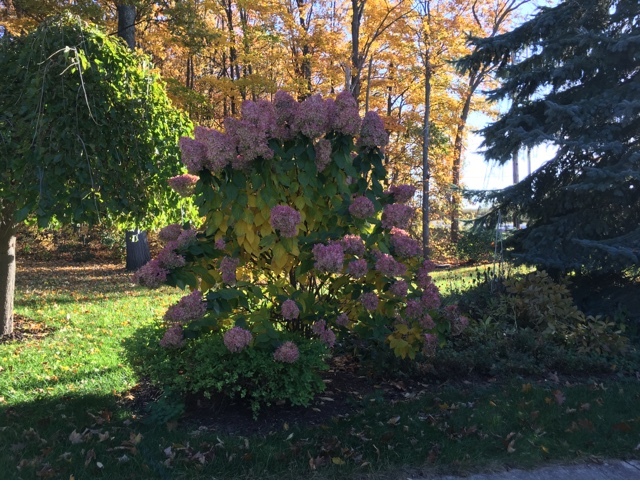 My lilac topiary is turning color and dressed with maple leaves! I always forget just how pretty this gets! Some are still putting out new flowers! 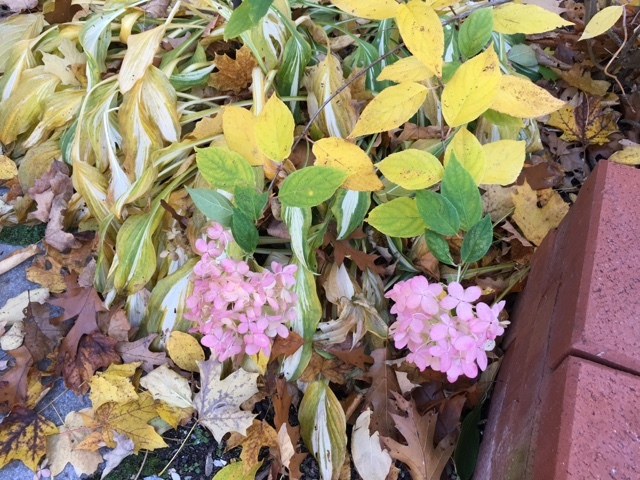 Soft pink hydrangeas lay softly against the fading hostas and leaves. 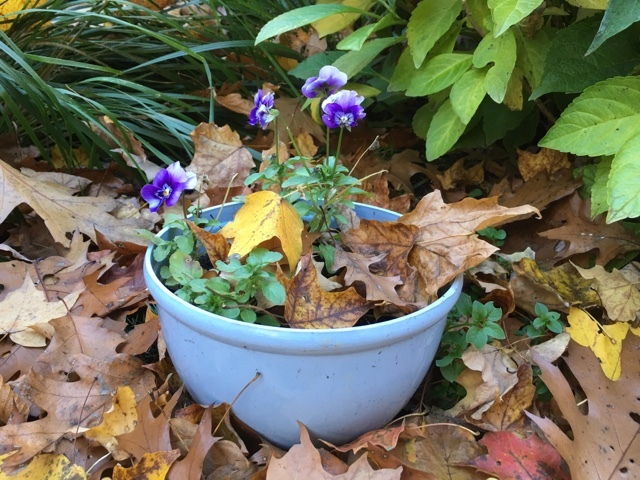 The violas are blooming again and becoming buried in the leaves. 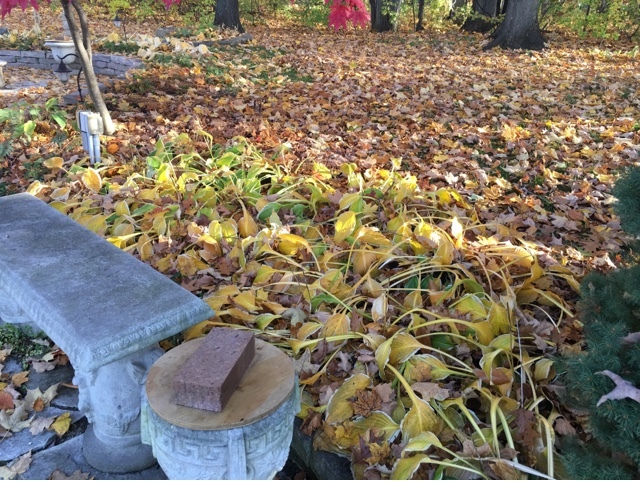 My hosta hill is a fading memory and now filled with leaves. 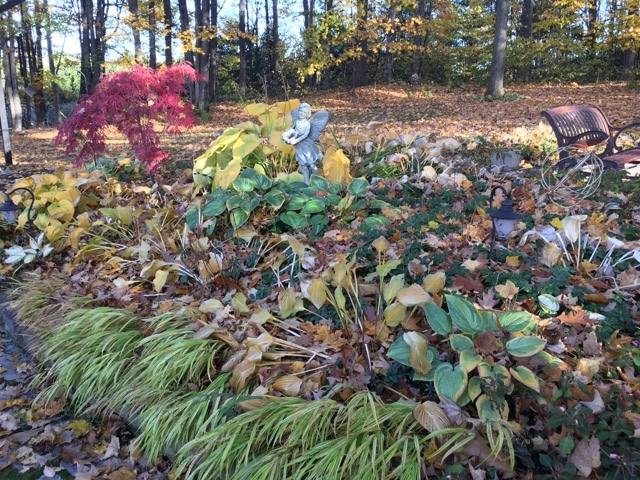 I let my plants die back and rake it off in the spring. 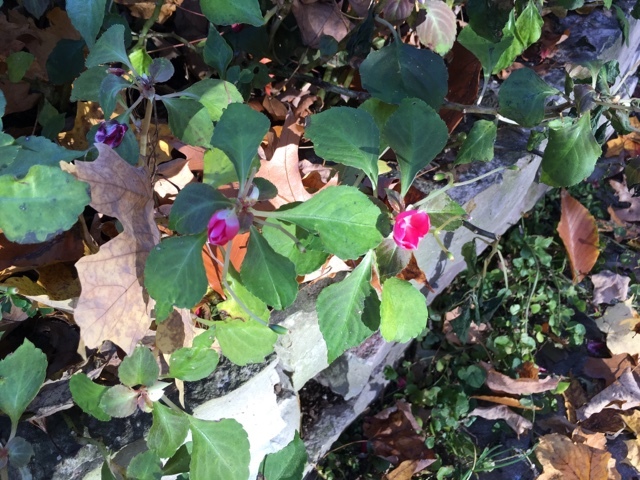 We still haven't had a killing frost but the impatiens are pretty much done. 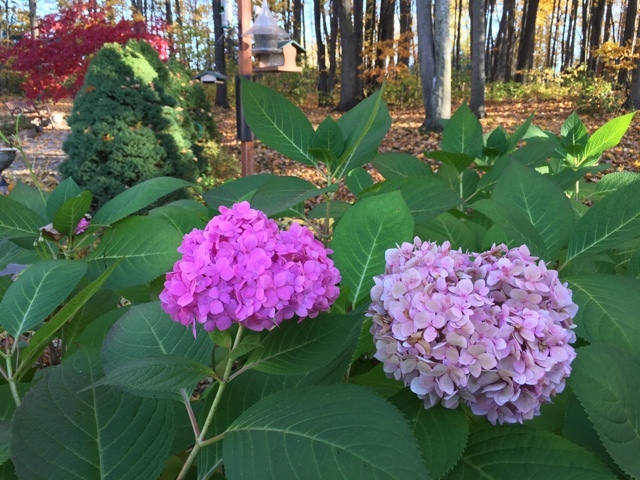 A few buds are still trying open. 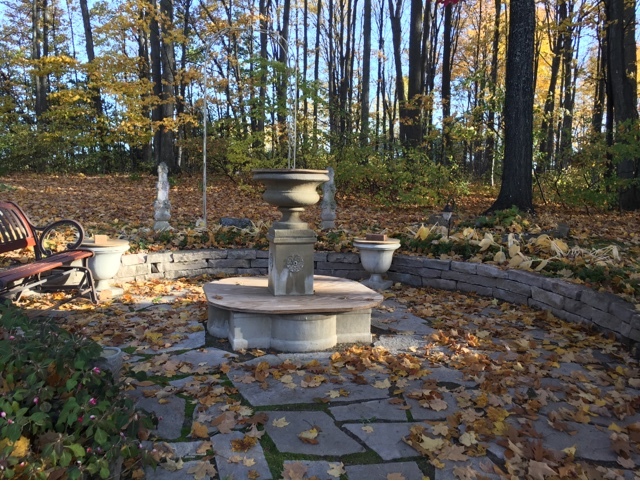 The fountain was full of leaves so it got a good cleaning and now it's covered up for the season. 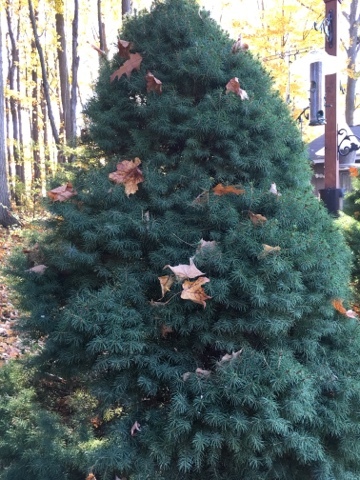 Even the Alberta Spruce are dressed with leaves! 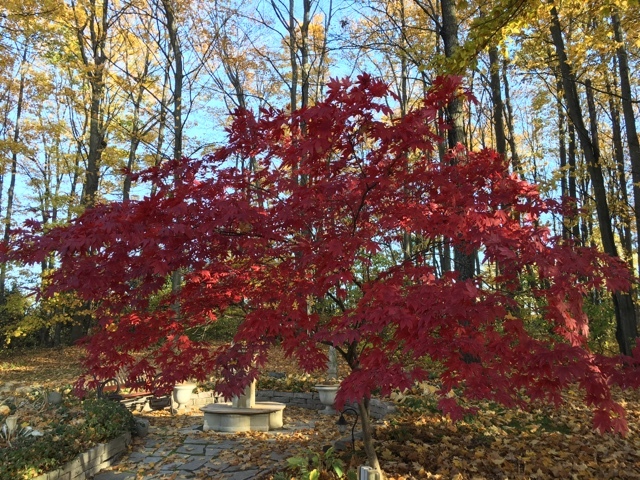 We put this maple in about 5 years ago. It was an inexpensive whip but now it's doing nicely. If we loose that big ash tree it will take up the visual space to replace it. 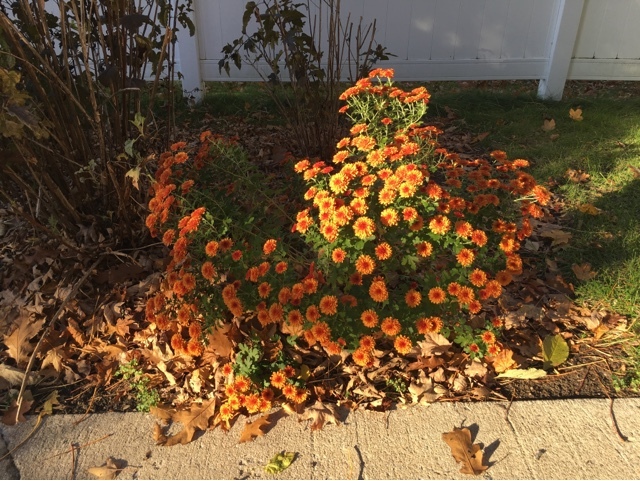 This is a mum that came back from last year. Nice rusty color. 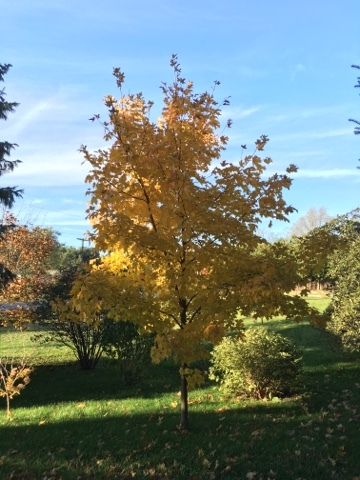 We planted this maple about 6 or 7 years ago and it's coming along nicely. All part of my plans to load up this side yard area to block the view of the fire department that got built across the road a while back. 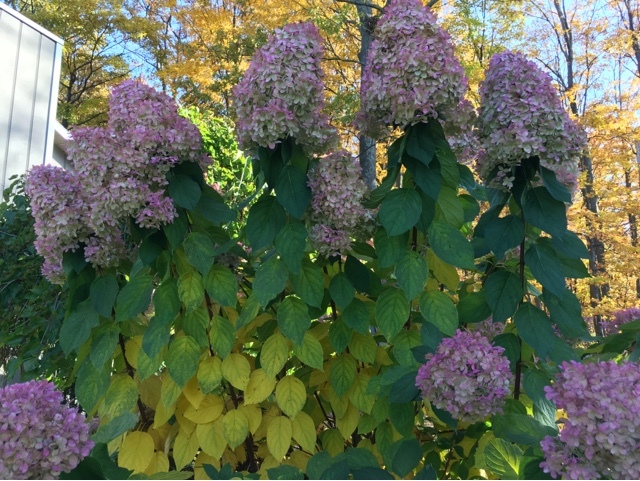 This Limelight hydrangea produces the largest blooms! Those are around 12-14" in size. 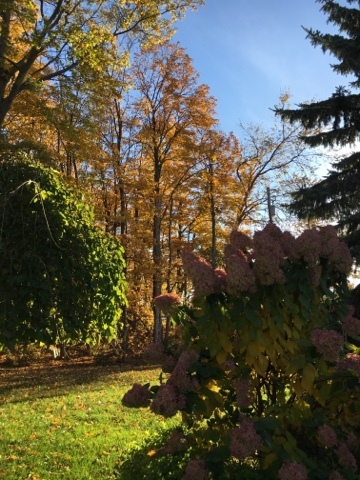 We're having a warm and very long autumnal season. Loving it! 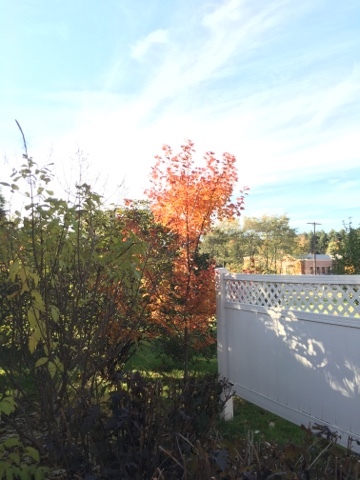 I hope your autumn has been enjoyable too! Yes you certainly have lots of leaves. I've been watching ours come down as the wind blows. We are having warm weather too here in Kentucky. I did get my iris cut but didn't get any divided. I cut back the day lilies but have a few more in the back to do. 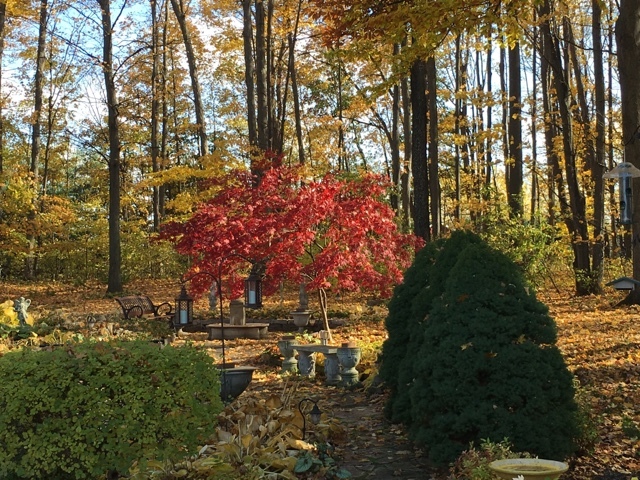 Love your red maple leaves, they are so showy this time of year. 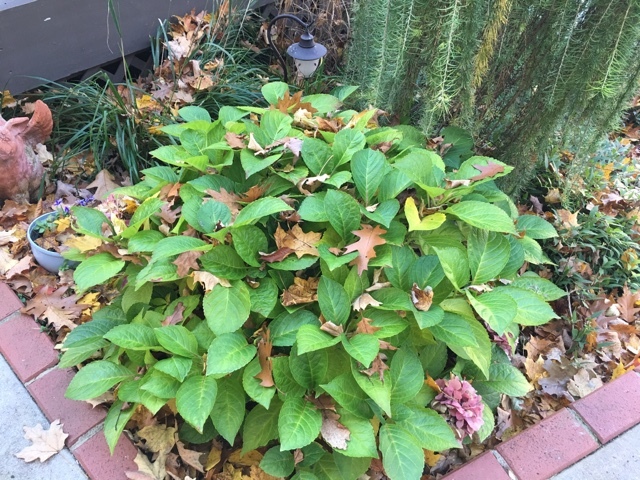 Thanks for sharing your leaves and yard. oh my gosh!!! you get so beautiful hydrangea... pictures are so lovely..